JSL specializes in moving Rigs & Rig Material. 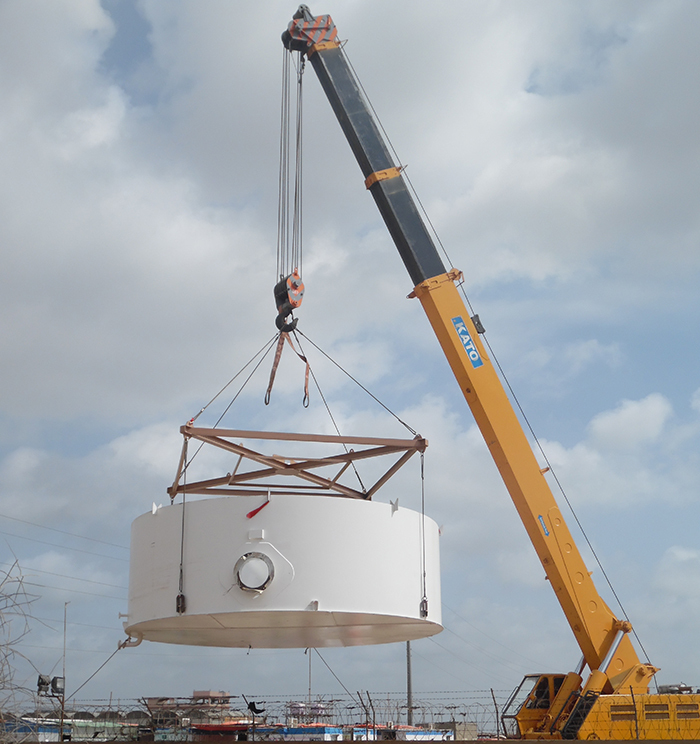 Our Company boasts of having a track record of moving thousands of Rigs throughout the length & breadth of the country. Being a pioneer in this field, JSL’s major clients are the prestigious players in the Oil & Gas Sector of Pakistan. Pre-Job planning is mandatory. Prior to beginning any rig move, a pre-job meeting with the oil company representative, drilling rig manager, construction foreman and JSL field supervisor is held, where the pre-job planning is executed. Rig move routing identified after a comprehensive survey. JSL evaluates each job or task through a process that identifies and eliminates the hazards associated with the work. In case where hazards cannot be eliminated then controls or corrective measures are implemented to mitigate and reduce the impact of hazards. Escorting & offloading under supervision of NSL certified supervisor. To ensure that emergency numbers and plans are communicated to team members.